Kang Ha-Neul has dropped out of upcoming OCN drama series “Bad Guys 2” to enlist in the South Korea military. He will officially enter the military on September 11, 2017 and is scheduled to be discharged on June 10, 2019. Yesterday, actor Ji Soo was announced as a new cast member to replace the injured Um Tae-Goo. Pure speculation here, but with the replacement of Um Tae-Goo, this may have caused a delay in filming which caused to Kang Ha-Neul to drop out of the series due to his enlistment schedule. 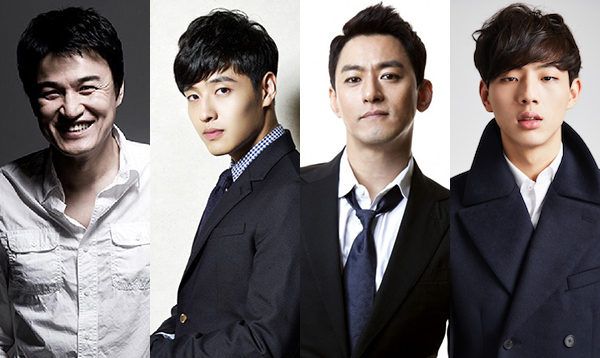 “Bad Guys 2” is a sequel to 2014 OCN drama series “Bad Guys,” but featuring a new cast of Park Joong-Hoon, Joo Jin-Mo and Ji-Soo. “Bad Guys 2” is scheduled to first air November, 2017 in South Korea.